Up onto the mountain and then gliding pleasurably over the sunlit slopes. Skiing is the pure enjoyment of nature. Almost every tenth German looks forward to the skiing season every year (Source: Sports University of Cologne and the Safety in Ski Sport Foundation of the German Skiing Association [Deutscher Skiverband, DSV]). On the first day of skiing, many people are concerned about making it through the coming season without injury: Am I fit enough? Have I prepared enough for the skiing season? In order to prevent injury, you should make provisions during the summer months and consider a few points. 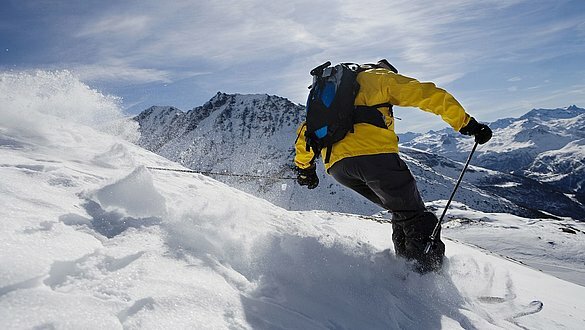 A complete ski equipment includes not just the skis, but also sun protection for the skin, ski trousers and jacket, hat, gloves, ski goggles or sunglasses, two poles, boots and the ski binding. The latter must be individually adjusted according to height and weight. If it is too loose, it can open while skiing fast round a curve, leading to a fall. Use the service offered by sports shops and have your skis waxed and, if necessary, the edges sharpened. An orthosis, for example the Stabimed from medi, is an adjustable splint that prevents the joint from bending beyond a certain angle. 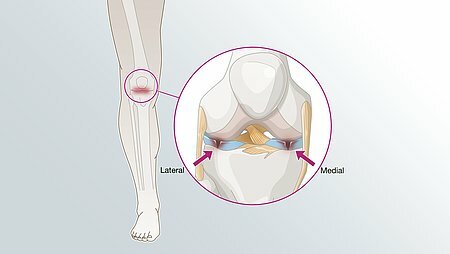 Depending on the severity of the injury, the knee orthosis should be worn for about six weeks. Following a torn cruciate ligament, the leg is immobilised immediately after the operation with a medi Classic or medi Jeans, so that the swelling can heal. During further therapy, the patient can be fitted with a knee orthosis, e.g. the M.4s comfort. 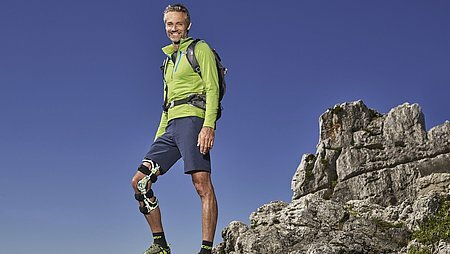 The M.4s comfort guides and stabilises the unstable knee during the rehabilitation phase. The 4-point stabilisation principle prevents the tibia (shin bone) from pushing forwards. A dislocated shoulder needs to be reduced by a doctor – and this as quickly as possible. Afterwards, the shoulder is usually immobilised for 8 to 10 days using elastic supports, splints, arm slings or a plaster cast. The shoulder immobilisation orthosis medi Arm fix and the shoulder support Omomed from medi make it particularly easy for the patient, as they can be donned without any outside assistance. 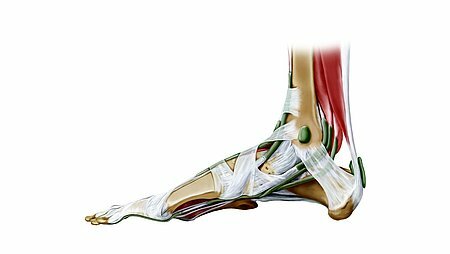 Following a torn ligament in the thumb, the Rhizomed orthosis can provide relief both before and after surgery. The skier’s thumb is rested until it has completely healed and the tendons and ligaments can recover without pain. Nowadays, modern orthoses can also be used instead of a plaster cast following bone fractures. 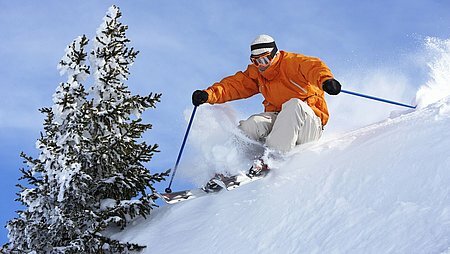 Orthoses are easier to handle and are more comfortable to wear: They offer the best prerequisites to let you recover quickly and get back on the piste. The Rhizomed orthosis from medi can bring relief both before and after an operation for a torn ligament in the thumb.